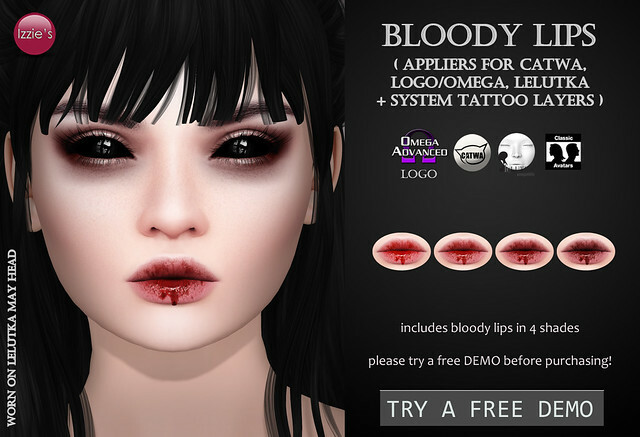 Izzie’s Face & Body Blood & Wounds have been updated for LeLutka Bento and Omega Body (will work for Vista Bento hands)! Grab the free update at Izzie’s mainstore (new releases area next to the whole blood set) it will be available for free for 1 week from now. 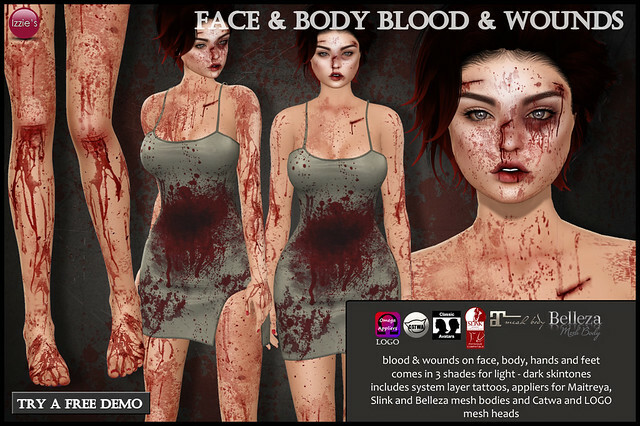 Izzie’s released Face & Body Blood & Wounds at Izzie’s mainstore and on marketplace. 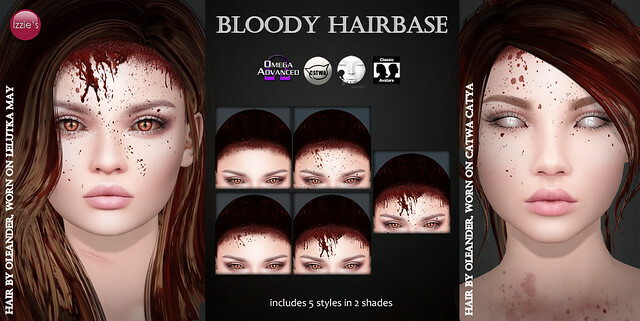 You get blood and cuts on face, body, hands and feet in a less blood and more blood version in 3 shades for light – dark skintones. 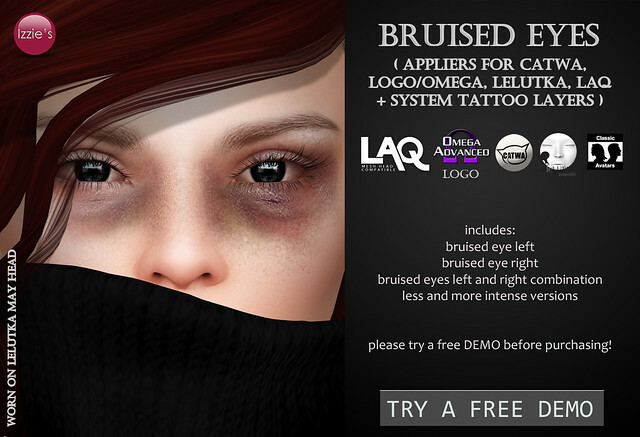 System layer tattoos are included as well as appliers for Maitreya, Slink and Belleza mesh bodies and Catwa and LOGO mesh heads. Please try a free demo before purchasing. Izzie’s released Bloody Socks, a Halloween version of the Overknee Socks in white with blood splatters and uneven. They come in 2 versions, with blood only on the socks and with blood on socks + leg. The socks include system layers and applier huds for Slink, Maitreya and Belleza.